Lupton Fawcett LLP is a leading Yorkshire full service corporate, commercial and private client law firm, that puts its clients ahead. 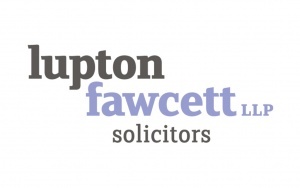 With offices in Leeds, Sheffield and York, Lupton Fawcett has a diverse team of passionate experts. Our clients range from SMEs to PLCs, and we have specific areas of excellence in owner managed and family businesses, entrepreneurial start-ups as well as a number of key industry sectors including ecclesiastical, agriculture, healthcare, education and charities.